There isn’t an equivalent organisation in English, but the International French-Speaking Organisation fulfils a dual function of both promoting and celebrating the use of French around the world. It seems that French is more en vogue than ever before. According to the latest statistics, the number of French speakers in the world is actually rising. In a world where it often appears that it’s only a matter of time when English will be declared the first official language of Planet Earth, it might surprise many to learn that French is spoken by far more people outside of France than those who live within its borders. 220 million citizens of the world speak French fluently today, according to the French Ministry of Culture and Communication and that figure has been increasing by some 7.7% each year for the past 20 years. In 2011, an estimated 960,000 people signed up to learn French via two different official organisations: The vast majority of them benefited from courses organised by the Alliance Française, while about 186,000 of that figure was made up of foreign students who conducted their studies through French in their own countries. Another area of growth for the French language has been the programme of university exchanges overseen by the Agence Universitaire de la Francophonie (AUF). The object is to promote the French language by making it a pre-condition for students wishing to engage in a university exchange programme to learn basic French beforehand, allowing them to perfect the language during their stay in France. Today, there are more than 780 universities worldwide subscribed to this programme – up from a mere 40 or so half a century ago. China is the main growth area but there is also strong growth in India, where French is the first foreign language taught in schools(English and Hindi both being the official languages of the country). Although Asia is possibly the region in the world with the least number of French speakers, it is now the region where the demand for French is increasing at the fastest rate. Maintaining French as an important language in the world is something the French government don’t take for granted. Although the dominance of English has increased, French is still one of the main official working languages of the UN and the French state spends an estimated €600 million per year on promoting the language. It’s a case of promoting the use of the language through those that want to learn to speak it as well as keeping alive the traditions of speaking it in former colonial outposts and minority communities, such as in Louisiana, USA or Phnom Penh, Cambodia. 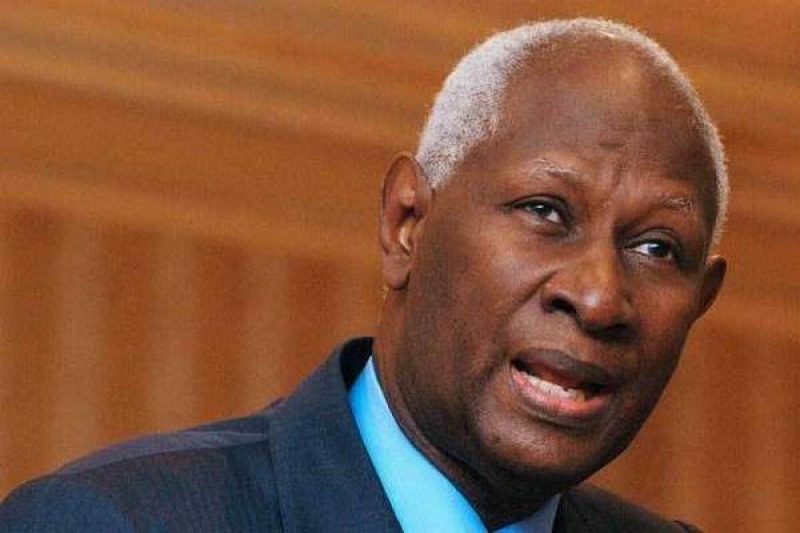 The head of the Organisation Internationale de la Francophonie and former Senegalese President Abdou Diouf (pictured above), has congratulated the dynamism of the French language on the occasion last week of the World French-Speaking Day (Journée internationale de la Francophonie) and feels that France itself is one of the least interested parties in the Francophonie worldwide cause. “The French authorities are very engaged in the defence of French-speaking,” said the Secretary General in an interview with Le Figaro, “and as soon as they’ve got over their current budgetary difficulties, I’m sure that they’ll invest once more in the promotion of French. There are 900,000 French teachers in the world today. It’s not enough to meet the growing demand. In Ireland, those wishing to join the Francophonie cause, can do so via the various language schools around the country, as well as the French government sponsored Alliance Francaise or the Lycée Français d’Irlande. Next Next post: Let’s French Again… Again!